Carly Anthony and Cornetiero. Photo credit to Equinium Sports Marketing/The Ridge at Wellington. 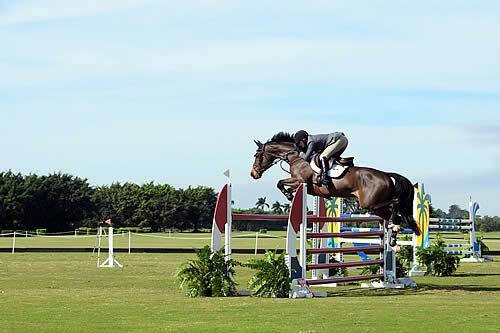 Wellington, FL (January 5, 2019) – The 2019 Turf Tour is officially underway, and has already seen some spectacular horses and riders galloping out over its springy grass courses. 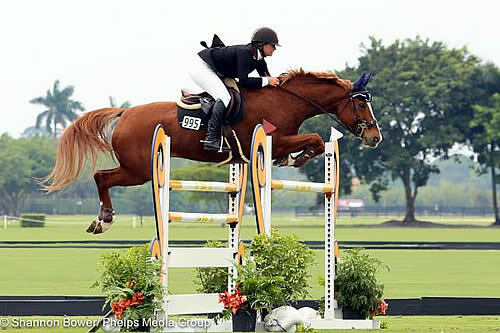 Organized and hosted by US Olympian Nona Garson and George D’Ambrosio, the first week of the 2019 Turf Tour was featured on WPTV/ESPN Sports’ Friday evening broadcast, where its hosts discussed their vision for equine-centered horse shows offered on all-natural jumping surfaces. Anthony was joined by a selection of riders in both the 1.30m Rising Star and 1.40m Welcome Grand Prix, in addition to groups of .80m, .90m, and 1.10m riders who took advantage of the Turf Tour’s relaxed atmosphere, open in gate, and complimentary hospitality tent. Turf Tour Week 2 continues with USEF Equitation Tuesday January 8, Turf Tour classes January 9-11 at Mida Farm, and Hunter Derby Days January 12 at Jim Brandon Equestrian Center, featuring a $10,000 USHJA International Hunter Derby and $5,000 USHJA National Hunter Derby. 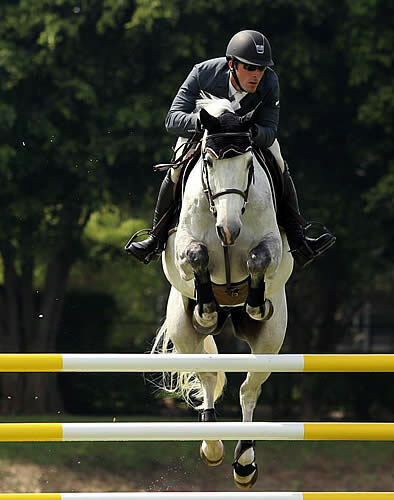 The 2019 Wellington Turf Tour features 13 weeks of jumper equitation competition, including all heights and prize money classes including weekly $10,000 1.40-1.45m Grand Prix and $3,000 1.30m Rising Star Classics, all held at beautiful and unique venues. This year’s destinations include The Ridge’s home farm, Santa Rita Polo Farm, Mida Farm, Jim Brandon Equestrian Center, and final locations to be announced for March. 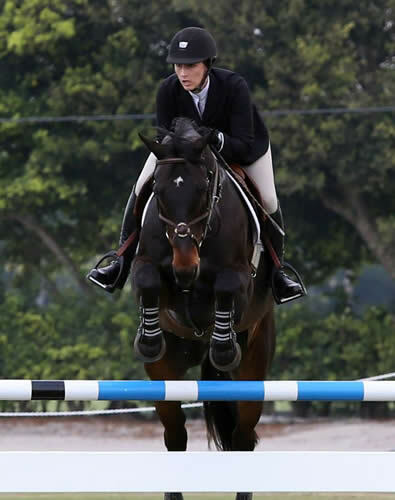 The Turf Tour and its hunter/jumper/equitation events are a unique addition to Wellington’s winter circuit, offering riders top-tier competition, generous prize money, and an unparalleled atmosphere. 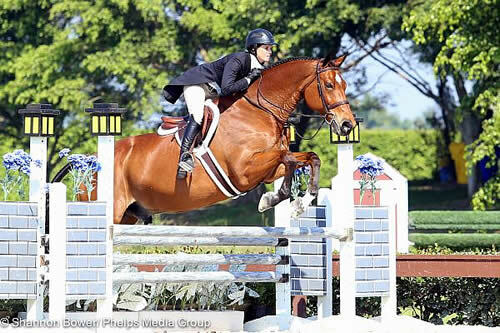 Young horses and advancing riders are able to test their mettle in classes ranging from junior and amateur jumpers to the Grand Prix, and at a variety of venues reminiscent of the large European tours. Organized by US Olympic show jumper Nona Garson and George D’Ambrosio, the vision that inspired the tour’s conception was bringing back old world flair to over fences classes, staging competitions on springy, natural turf surfaces away from the intensity of other show grounds. But the laid-back atmosphere, which includes open ended show times and concurrently running divisions, doesn’t fail to attract some of the sport’s biggest names, keeping the competition up to par. Wellington, FL – March 25, 2015 – The final Wednesday of the Ridge at Wellington Turf Tour was incredibly successful, with both rings staying busy throughout the day. Adam Prudent topped the first 1.30-1.35m class riding Vasco for Plain Bay Sales. Prudent brought the horse over in order to prepare for the Finale Grand Prix on Friday. Prudent posted a very fast time of 46.192 seconds to beat the early class leader Oliver McCarthy’s time of 46.235 seconds on the course designed by Nick Granat and Eric Hasbrouck. McCarthy had the ride on Crossfire 10 for McLain Ward. Ansgar Holtgers finished in third on his own Wisconsin, and fifth on Quick Petite Folie. Darrin Dliin claimed the fourth place finish with Tennyson for Susan Grange. Rounding out the top six was Linda Sheridan, riding her own Vantina HPF. The winner of the Leading Rider Award will receive an incredible prize of an Equestrian International Polo Club Palm Beach membership. This exclusive membership is typically available through invitation only and is highly sought after. Valued at $6,000, the membership starts January 2016 and is good through mid-April, the duration of the winter circuit. Alex Granato and Zenith Dance. 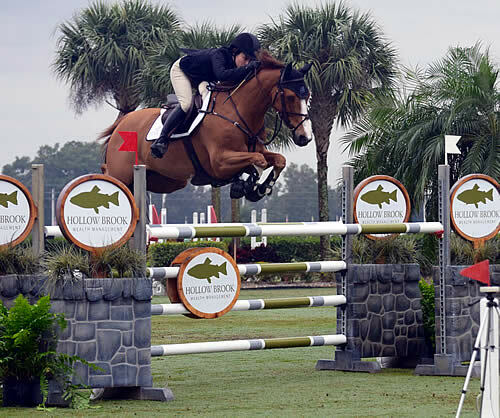 Wellington, FL – March 21, 2015 – Alex Granato has proven again and again that he is a force to be reckoned with when he shows up at The Ridge at Wellington’s Turf Tour, and today was no exception as he topped a field of 23 in the 1.40 Grand Prix.